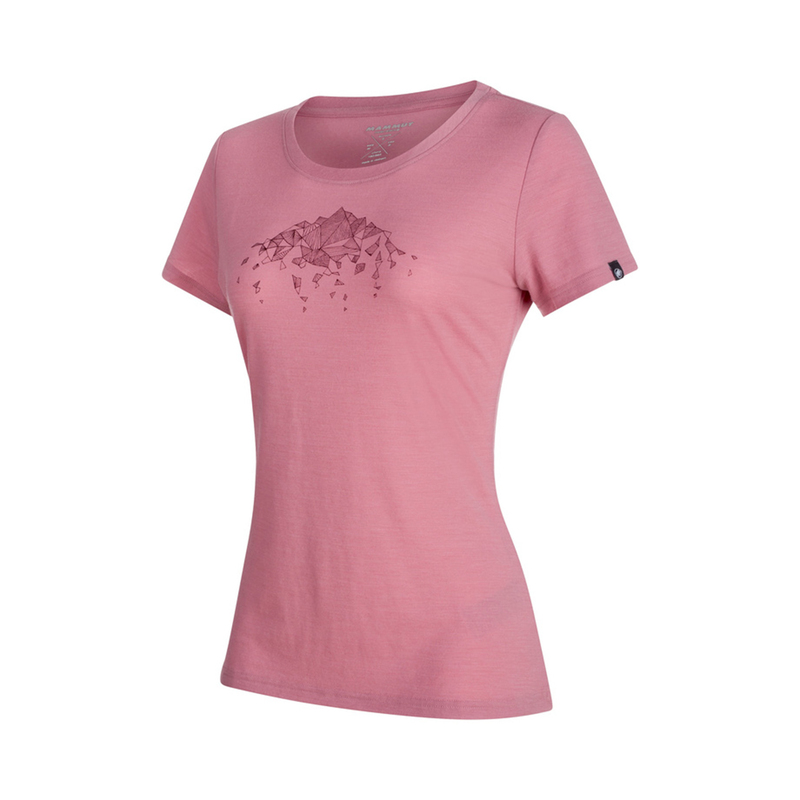 The Mammut Alnasca T-Shirt Women is made from a blend of 48% polyester, 48% merino wool, and 4% polyurethane (PU). The polyester and wool is highly comfortable, with the wool allowing your skin to breathe and the polyester wicking away moisture from its surface. (Wool also has a natural antibacterial effect that helps to prevent unpleasant odours, even after a strenuous day.) The wool and polyester are bonded to a layer of PU to increase their durability. Even though the Alnasca is lightweight, it will resist abrasion from rock, deterioration from the sun, and harsh wash cycles.